Michael has made it his goal to build a company that makes us think twice by the way we choose to get better. After experiencing the loss of his father, Michael became painfully aware of some of the issues in the medical system where good people needed help. This changed his career path and caused him to dedicate his time and passion to the medical industry with a mission in life to find preventative measures that will change lives. Michael graduated from FAU in 2006 with a double major. He is the founder of SafeCare Medical, Montana Allen Productions and Retail Creator. 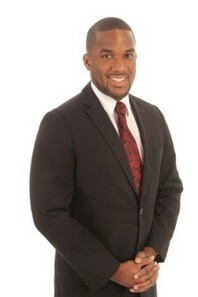 He is the former president of GCPPA and Director of Business Development for CCP. He currently holds roles as the future President of the Stroke Research Foundation(strokerf.org) and holds a role with the Patriot Project (patriot-project.org. His unique 10 year journey has made him fully prepared to take First Alternatives into a exciting era of growth for everyone involved. Brenda has been a Licensed Massage Therapist since 1999, specializing in Lymphatic Drainage and Medical Massage Therapy. She has worked at Imperial Point Medical Center with the Healing Arts Center and Shangri-La Day Spa doing medical and therapeutic massage. Her passion for restorative healing and relieving pain has inspired her to learn about different massage modalities such as hot and cold stone therapy, cupping, lymphatic drainage, reflexology, and cranial sacral. She studied and worked with different S.C.E.N.A.R, reaction tens and tens devices using Avazzia, NRG, Denas, and RITM devices. Jason is an Attorney in the State of Florida. He is responsible for adding on new product development. First Alternative's go to source for program Integration. Carole uses her past experiences to help direct First Alternatives in the right marketing, and business direction. First Alternative's Director of Special Projects, David F. Edwards, is a highly analytical, legal and business focused tech savvy professional adept at working in fast-paced environments and managing complex projects. Mr. Edwards has a history of significantly increasing productivity and efficiency everywhere he has worked through streamlining operational processes and resources. Managing day-to-day operations including invoicing, order-taking, and shipping. Amber handles insurance submission questions and ensures all submission codes are met. Dr. Smith received his BS degree and Doctorate of Chiropractic degree from the National College of Chiropractic in Lombard, IL where he graduated in 1977. Dr. Smith strives hard to bridge the gap between chiropractic and allopathic medicine. As such, he enjoys a great reputation among medical physicians and receives regular referrals of patients for chiropractic management of musculoskeletal conditions. Dr. Smith offers an Advanced course for First Alternatives. Gail Naas is a Certified Trainer for the Avazzia Company, teaching classes approved for Florida Licensed Massage Therapists and Occupational Therapists. Gail’s experience with this technology is that it does help clients effectively and quickly achieve their health and wellness objectives. Ms. Naas has been a speaker at numerous health industry seminars, workshops and conferences covering various alternative health care topics. Gail offers personal Skype Training. Lynn Teachworth is a trainer for First Alternatives and has developed advanced protocols specifically utilizing the Pro Sport 3. He has over 1000 professional athlete clients in the sports world, including the NBA, NFL, PGA, LPGA, ATP, soccer, track and field as well as pro waterskiing and wake boarding. 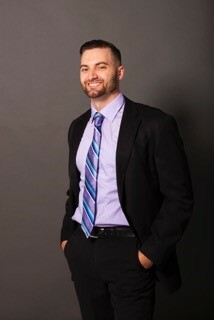 He has certifications in Structural Integration, Applied Functional Science, BodyTalk, Neuromuscular Therapy, Cranial Sacral Therapy, Myofascial Release, muscle energy technique, Kinesiology, Frequency Specific Microcurrent Therapy, Visceral Manipulation, Source Point Therapy, and is also a Reiki Master. He’s trained under Gary Gray, Tom Myers, and John Barnes among many others. Lynn draws from this extensive education and vast clinical expertise to create advanced protocols using the Pro-Sport 3 that significantly improve treatment results. Graduated from Florida College of Integrative Medicine in 2001. She as worked in large integrative pain clinics and private practice since being licensed in April 2002. Prior to becoming an acupuncturist she worked as a massage therapist since 1989, primarily in private practice and spa settings. For the past six years she been an instructor and clinical supervisor at Florida College of Integrative Medicine. Mia Severson is the CEO of Dynamic Therapy 101 and is also a licensed Esthetician at 10800 N Miltary Trail Ste 224 Palm Beach Gardens FL. She has had over 10 years experience working in the healthcare industry as an Account Executive to provide patients and doctors with durable medical equipment such as lymphedema pumps, orthotics, oxygen and cpap machines. Mia developed an interest in conservative pain management and holistic therapy when her husband was in a severe car accident and was told he would have to rely on pain medication for the rest of his life and have back surgery. It was then, that Mia found Avazzia BEST devices to help her husband get out of pain. After experiencing the benefits of natural therapies first hand, her husband no longer needs pain medication and has not had back surgery. Mia also serves on the board of Educators for First Alternatives specializing in marketing and training classes for the Ezzi-Lift. 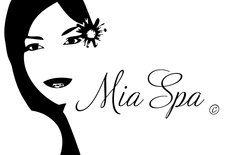 Mia's passion is to give hope and educate others while providing quality service and products to help patients gain freedom of health and beauty. Certified Bowen Therapist and Associate Bowenwork Instructor, CranioSacral Therapy, Sports Massage, Injury Rehab, Certified Medi-Cupping Practitioner, Chronic pain management, Functional Movement, Strength, and Mobility Assessment & Patterning, Therapeutic Swedish and Deep Tissue Massage, Technology based esthetics including- microcurrent facial contouring and rejuvenation, LED, Ultrasonic, Microdermabrasion & Dermafiles, Dermaplaning, Microneedling/Collagen Induction Therapy, Acne and Anti-Aging Specific Treatments.